We’re excited to see the progress being made on our South Roanoke location! A recent visit to the construction site at 2926 Franklin Rd SW revealed some big changes to the structure that will soon become Member One’s 14thretail center. 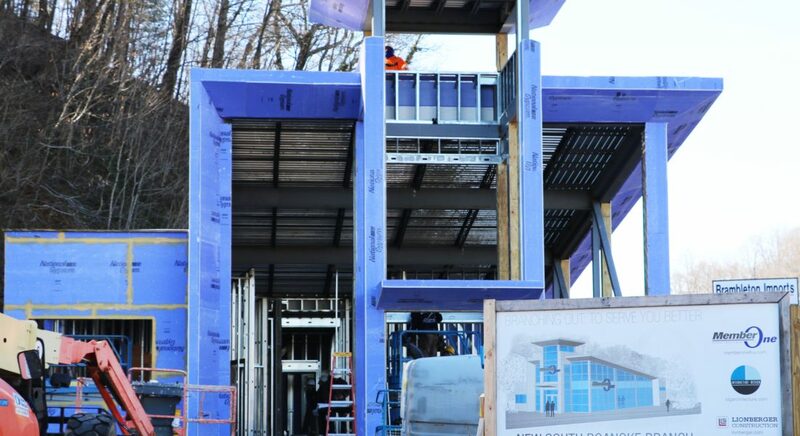 With the roof going up and the floor layout starting to take shape, and drywall now surrounding the frame, the building more and more recognizably resembles a modern, full-service retail center. But if you’re curious to see what the end result will look like, there’s an image of the plan available for public view at the construction site. The construction crew and the design team from Interactive Design Group of Roanoke have been hard at work, so there should be more developments to come in the near future! When finished, the new retail center will serve our members with teller and desk employees as well as two convenient drive-up ATMs. We’re looking forward to joining the South Roanoke neighborhood.